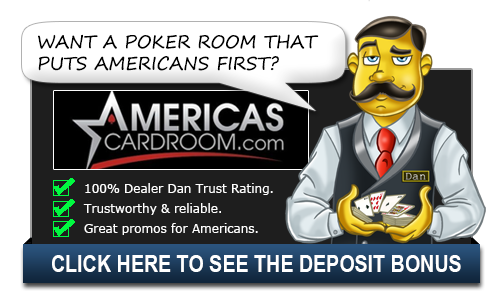 What Is Rush Poker? - Casino Answers! Casino Answers » Poker » Misc Poker Games » What Is Rush Poker? Rush Poker is the “Worlds Fastest Poker Game”, and is exclusively available at Full Tilt Poker. Rush Poker was launched on Full Tilt Poker on January 19th, 2010, and is currently available in Texas Holdem, Omaha and Omaha Hi-Lo formats. The game of Rush Poker is very simple – it’s just like playing a normal game of online poker. All the rules are the same, the format is the same and the structure the same. The difference is waiting time – there is none! One of the biggest frustrations of poker is waiting – having to wait for players that have disconnected just so you can fold your 29 offsuit and move onto the next hand, or have to sit there and wait as three other players play through a hand, with betting action on every street. This is how Rush Poker works: you get dealt a hand. Is it possible that you want to play the hand? Then you play as normal. Not interested in playing that hand? Then, even when you are waiting for other players to go, you can immediately hit the “quick fold” button, and the software then rushes you to a new table, with new players, and you’re immediately in a new hand. As you can see, Rush Poker isn’t actually a poker game, it’s just a new concept on the game of poker, and one of the best features about playing online poker. Rush Poker is all about the action – no sitting there, waiting around and folding rags all night. In a typical online poker game you’d be lucky to play 50 hands per table hour. In Rush Poker, you can easily play over 300 hands per hour. Of course, there are downsides as well. Picking up your opponent’s tells or build up a reputation of your own at a table because you are immediately being rushed to the next table as soon as you quick fold. With this game, you simply need to play the cards as they are dealt and do your best from there. Of course, there are plenty of advantages as well. Playing a ton of hands is one of them, but it’s also been shown that these games are a bit more fishy than others. Impatient players who just want to rush, rush, rush can be easy money if you play it smart. Slow playing hands can be effective as people are so used to that next rush and that next hand, that they can become impatient at the table. Be careful not to get too extreme with it though. With this game players can often become super tight and aggressive or super loose. It’s important to keep a balance to your game as to keep others off track. Even if you only see them for one or two hands at a time. Try out Rush Poker today – exclusively at Full Tilt Poker.